Part 2 of 8 Sermon Summary. Only overcomers will eat of the tree of life in the Paradise of God. Overcomers are those trust in Christ’s finished work on their behalf to be the full payment for their sins. So, make absolutely certain that you’re an overcomer. If you’re not absolutely sure that Christ’s saving blood is your confidence, please pick up a copy of this booklet, Would You Like to Know God Personally? They’re free, and you can get your copy back in CONNECT. Follow Ephesus’ example: Care about deeds and doctrine. Be an active, orthodox believer. Grow in your knowledge of Christ and of Christian doctrine. And let your beliefs drive you to action. Avoid Ephesus’ mistake: Make sure love is your motive for all you do. When you see yourself slipping into “autopilot”— remember, repent, and resume. Slowly and prayerfully meditate on the ten-point description of the glorified Christ. Then, read or listen to Revelation 1-3 (it takes about 15 minutes). Jot down any “thirty-thousand foot observations”—what intrigues, enlightens (or confuses!) you? 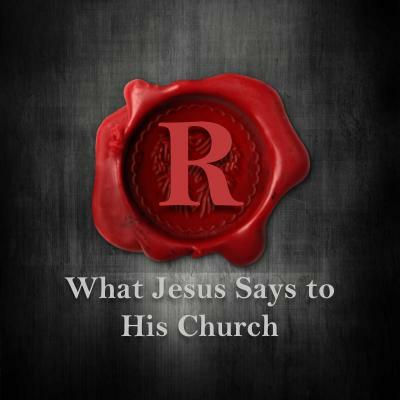 What do you learn about Jesus, about His church, and about yourself? Write down one concrete way you will obey God today. In the evening, journal your experience.